I have to go off for the rest of the day for personal reasons, however I will be active all morning tomorrow EST. 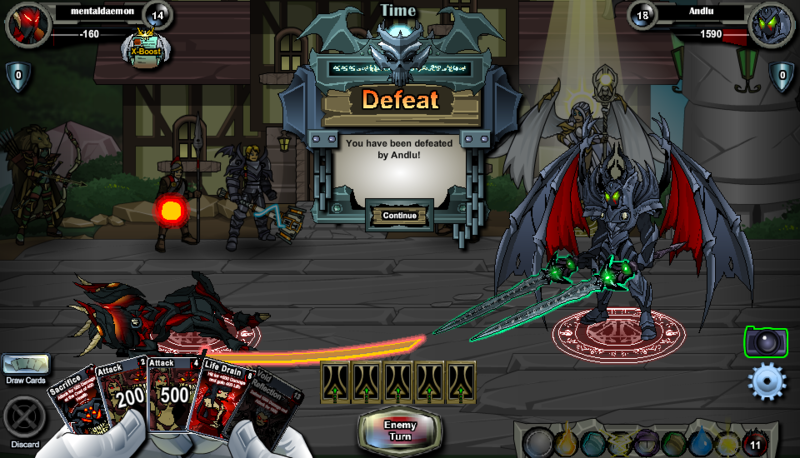 I am going to PM Venthos aka AQWtiny after posting this. I'm in solace-1 seelkamoon, and I'll be here for a few more hours. Come on by and let's have our duel! I'm avaliable anytime so if i see you tirbo prepare for a fight. Time: on 24/7 all the time almost. Location: Solace-1or Grotto-1. Good games, Andlu. I did fairly well despite the level difference. Andlu has a picture of Game 3, in which he won. I had a good game with Alchemist Gira and I won both games 1 and 2. Thank you for the match! Me and Xener didn't get a chance to collide today but it will happen soon, we have contacted each-other so it will happen. VoidofShadow aka Trone still hasn't responded to my PM. In the off chance seelkamoon comes on, I'll be in grotto-1. Going to leave in about 30 minutes to an hour, though—after giving 3 straight hours of waiting I'm in more of the mood to do other things. Hopefully there'll be better luck tomorrow. Awesome Match, we fougth like twelve times till i got to win. Going to be updating the brackets with the new win. You guys are doing great and for those who were defeated. Thank you for participant. We really appreciate and thank you for helping us out. On the waiting for replies. Theirs not much I can do on that sadly. Since we have lot of new faces I 'm not sure who would be fully committed or not. For those who aren't respond will most likely be drop once I do my time check on the first wave. Those who been posting and been communicating with me. Your going to ok since your doing what you can. Hopefully once this weekend passes I can start keeping people busy with the rev challenges. In the mean time use the time to level and don't go to nuts on waiting for them. If you have other things to do. Priority them and just check every so often. I did my battles with Dr4ke, he was at a level disadvantage but fought very well in spite of that, especially in the second duel where he got a well-timed Freeze+Shatter combination in and almost won. Good games DR4KE and I'll go as far as I can so you won't have lost in vain.